Hitting balls into a net isn’t glamorous and may not even be a lot of fun but there are certain times of the year in large parts of this country when that’s about all the golf you can expect. Therefore when a friend told me about the practice net from Net Return I wasn’t exactly excited. However, after some investigation it could be a great purchase for those wintry days. The idea of the Net Return is simple. It returns the ball to you, which makes it a lot easier than having to retrieve balls in a field and cheaper than spending $10 a bucket at a driving range. 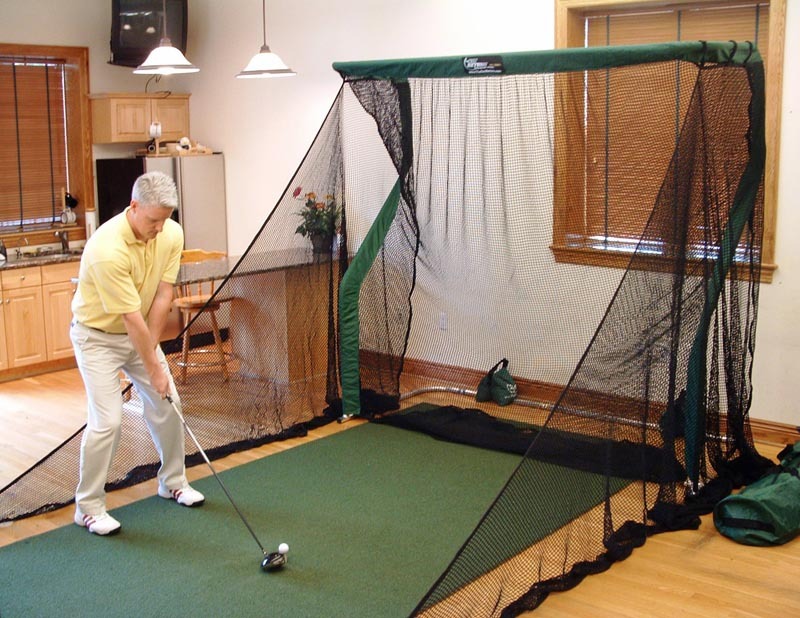 This net works equally well indoors or outdoors and since the ball is returned by the sloping design of the construction you can tell whether you hit it straight by the angle the ball comes back. Hand made in the U.S., individually inspected and tested, fits into a duffle and a one year warranty makes a nice package. Speaking of packages there are two – the Pro and the Runner – with the Net, artificialturf, side barriers and sand bags which hold everything in place. Prices start at $599 at TheNetReturn.